Few things are as off-putting in the home or business space as the dreaded bad odor. Sometimes odors emanate from a clear source, other times their origins are mysterious, difficult to pinpoint down and even more difficult to treat. Most commercial products treat unpleasant smells by covering them up with overly perfumed fragrances that assault the senses and can cause real health problems to sensitive populations. On top of being a potential health risk, most commercial products are short-lived and once they wear off, the original odor returns, forcing the consumer to reach for their product once again. The cycle of constantly reapplying a product only to have the problem smell resurface again days or even hours later is taxing emotionally and frustrating for the consumer, not to mention expensive when they have to buy bottle after bottle of product to keep the offending odor hidden. Fed up with the poor performance of commercial products, some people look to natural remedies for the solution to their woes. Remedies such as baking soda, white vinegar, and charcoal have been the go-to solution for overcoming foul odors long before you could go to the store and buy a specialized product in a plastic bottle. For some problem odors, such as stinky refrigerators, these natural remedies work wonders, eliminating odors with very little effort and with no negative consequences on the environment. That said, there are applications where natural products leave much to be desired. White vinegar, the go-to multitasking darling of frugal homemakers from all over the world, cleans messes well and can deal with some odors but it comes at a price: the bracing scent of vinegar. It seems funny, to treat a bad odor with an even stronger one, but vinegar can successfully treat surface odors where it can be applied and then wiped away. For smells embedded in upholstery, however, white vinegar is less than desirable. It soaks into fabrics, making it difficult to clean up after, and its own smell can quickly become overpowering. Once dried (which takes a while in these applications) the vinegary odor is decreased but can still be detected, particularly by those with an acute sense of smell. 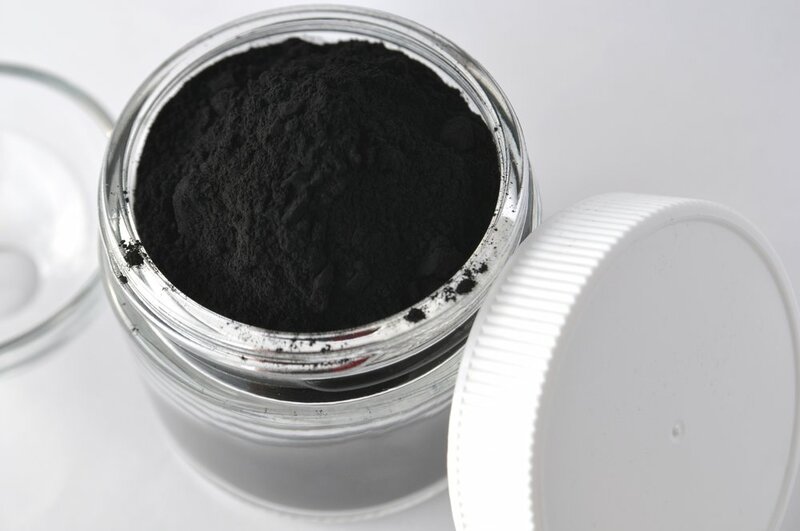 Activated charcoal is another substance that people have historically turned to for help getting rid of odors but charcoal has its limitations too. It can’t be used directly on surfaces because the black powder will cause stains. Instead, it must be poured into a receptacle and placed near the smell, helping with air-borne odors but doing nothing to treat the cause. Other all-natural tricks that people use employ in the fight against bad odors include vodka in a spray bottle and simply opening doors and windows, but these approaches each come with their own drawbacks. Spritzing vodka in your home or office will leave your living area smelling like a dive bar, not to mention the question of flammability, while opening up your home to let fresh air in may help in the short term but again, does nothing to treat the source. What’s a person to do? It can seem like none of the solutions to bad odors are actually solutions at all. Fortunately, there’s MonoFoil. MonoFoil is a revolutionary product that approaches the issue of unpleasant odors in an entirely new way. Instead of just covering up smells only to have them return later, MonoFoil fights odors at the source. It’s proprietary formula locks odors away and keeps them away for good. With MonoFoil, you don’t have to worry about the product wearing off and the scent returning. To apply MonoFoil, simply aim the bottle at the source of the offending odor, spray, and let the area air-dry. In the case that the source of the smell is elusive, MonoFoil can be sprayed into the air like a traditional air freshener. But unlike an air freshener, MonoFoil doesn’t simply cover up the smell. Its low-odor formula gets to work in the air like it would on any non-porous surface, actively destroying the bacteria in the air that cause the stink in the first place. Its anti-microbial properties not only destroy bacteria that cause odors, it also destroys more than 99.9% of the bacteria that cause Staphylococcus aureus (Staph), Salmonella enterica (Salmonella), and Pseudomonas aeruginosa. Astoundingly, MonoFoil manages to achieve all of this without the use of harsh chemicals and safe to use around children and animals. With MonoFoil, you can refresh your upholstery and fabrics without fear of staining or damage. It’s safe enough to use as often as needed in high-traffic areas that receive a significant amount of wear and tear such as waiting rooms, lobbies, and the like. A recent study was conducted with LA Metro. LA Metro had a big problem with the unappealing odor of human excrement in one of their stations. Their cleaning specialists had tried all manner of commercially available products but the stubborn scent kept returning. Running out of options and unable to provide relief to their patrons, LA Metro decided to give MonoFoil a try. After one application, the odor was gone. When the area was inspected weeks later, the odor was still undetectable. MonoFoil is powerful enough to use in industrial applications but safe and easy enough to use whenever and wherever you encounter offensive odors, and it does all of this while eliminating disease-causing bacteria. Now that’s pulling double duty. Is there a stubborn odor you’ve been struggling with? Tried everything else with no success? Don’t give up hope! Give MonoFoil a try! Newer PostAre There Actually Strange Toxins Under My Sink?